She is now comfortable showing off her family, but Alesha Dixon had to learn the hard way to keep her personal life private and worthy. The beautiful 38 year old BGT judge dated her current partner and backing dancer – Azuka Ononye – quietly for 3 years and even hid her pregnancy before going public. All these were as a result of the shame brought on from her previous high profile relationship with her then husband, MC Harvey. Both Harvey, a former So Solid Crew member and Alesha were enjoying the limelight while dating for 5 years before getting married in 2005. It all came crashing a year later when Alesha (and the whole world) discovered Harvey was cheating with singer Javine Hylton. Divorce papers soon followed. She laughs at how events overtook them – so much of Alesha’s life is an open book – it must have been hard for her to keep such a huge part of her life secret. It would be understandable if she were cynical about relationships, but she insists she isn’t, although she does stress how differently she approached her relationship with Azuka. Does she not find it difficult to trust, after what happened? The former Mis-Teeq member who is not yet married to her partner now proudly shows him and their daughter off. 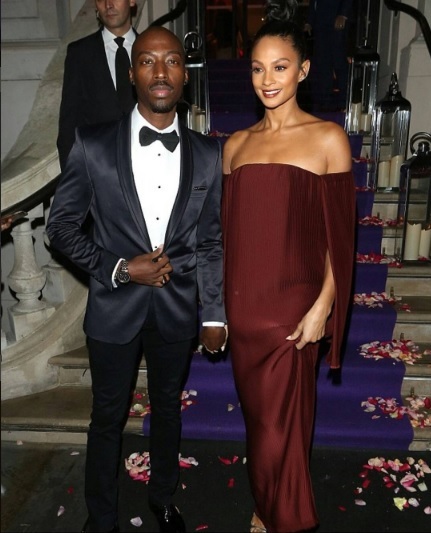 UK Nigerian Alesha Dixon learnt the hard way to keep her relationship with Azuka private Bookmark the permalink. ← Pretty Mike does it again! How much is he paying these ladies?